Fall is the time to visit Hafs Road Orchard. 2018 marks Hafs Road Orchard’s 25th year of growing the Honeycrisp variety of apples. Their first Honeycrisp were planted in 1992, 60 trees as a trial. In the next several years customer enthusiasm and a buzz in the apple grower community convinced Hafs Road Orchard owners Richard and Deborah Polansky to dive in. They went on Honeycrisp tours, talked with fellow growers and now grow over 1,000 Honeycrisp trees. In spring 2015, Hafs Road Orchard planted 400 new Honeycrisp trees. 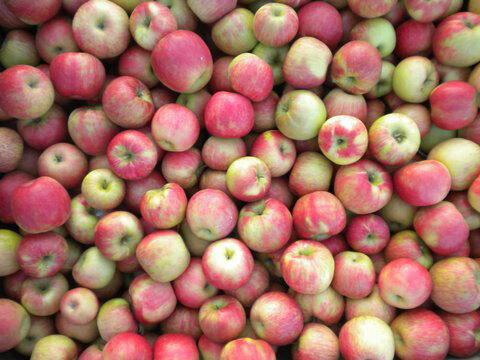 The orchard store is bursting with fresh apples for eating, cakes, pies, apple sauce, salads and crisps. Please feel free to call (262) 279-3638 to check on quantities of your favorite varieties. 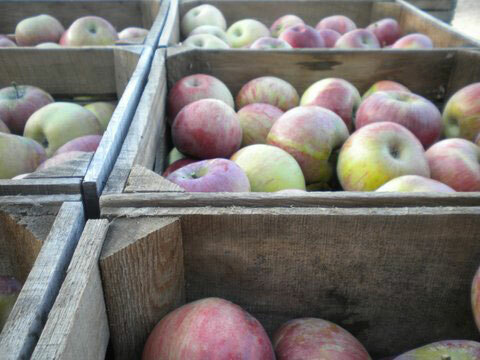 Be sure to pick up some fresh apple cider and don’t forget the orchard’s handmade Honeycrisp caramel apples. The orchard also has a fantastic selection of gourds and pumpkins. Hafs Road Orchard is open through Thanksgiving. Check here for hours. Honeycrisp are a delicious healthy holiday gift. Hafs Road Orchard is conveniently located just 7 miles east of Lake Geneva at W632 Hafs Road Genoa City.